With an investment estimated to be over £1million from its new owner the Wireless Group, Belfast radio station U105 has moved from its home in UTV’s Havelock House to new offices and studios in a lough-side development in the city. 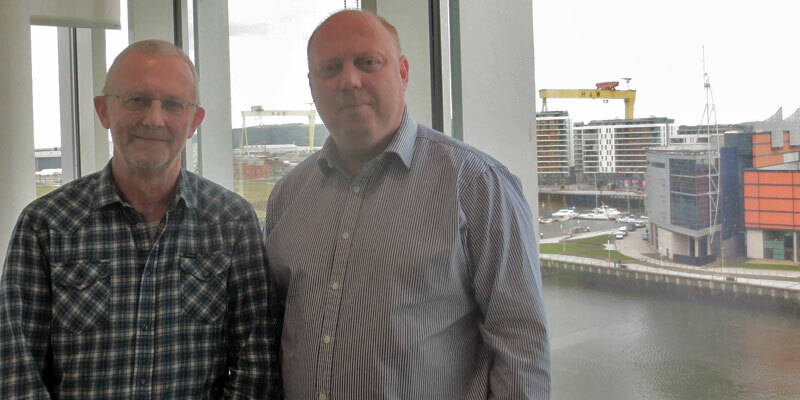 A week after a nervous mid-day hand over from Frank Mitchell who presented the last programme in Havelock House to Carolyn Stewart in the new City Quays HQ, I sat down with station manager Peter McVerry and the first station manager John Rosborough. the threats and opportunities for the future. For more details on those radio listening figures, John Rosborough take a longer look on his blog at Nocturne Media. This is the podcast that still doesn’t have a name. New episodes are available each Thursday. Jerry Lang the U105 evening dj has Tweeted some impressive photos of the new studios. In the next episode I’ll be talking to the artist Deepa Mann-Kler known for her work in neon and for creating light installations but has recently turned to virtual reality and immersive media. The podcast music is Arizona Moon by Blue Dot Sessions and you can find that and thousands of more rights free music on the Free Music Archive – which is a fantastic resource for podcasters and video makers in search of excellent music.